This is (I think) the oldest card I have in my collection. 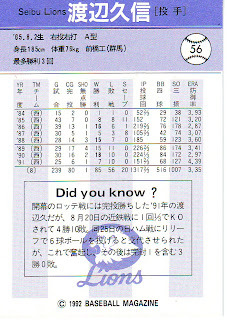 It's an uncatalogued bromide card of Chubu Nippon Dragons player Hideo Shimizu. 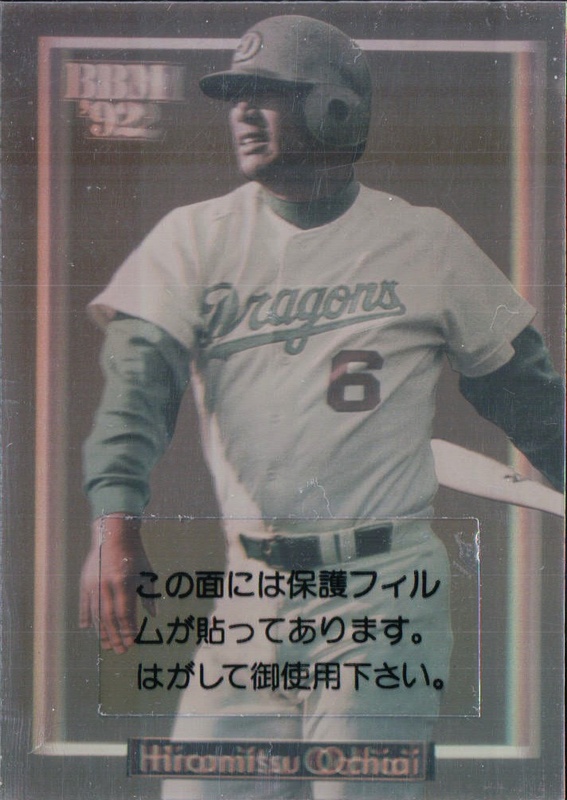 The uniform he's wearing is the one the Dragons wore in 1948, so I'm assuming that that's how old the card is. 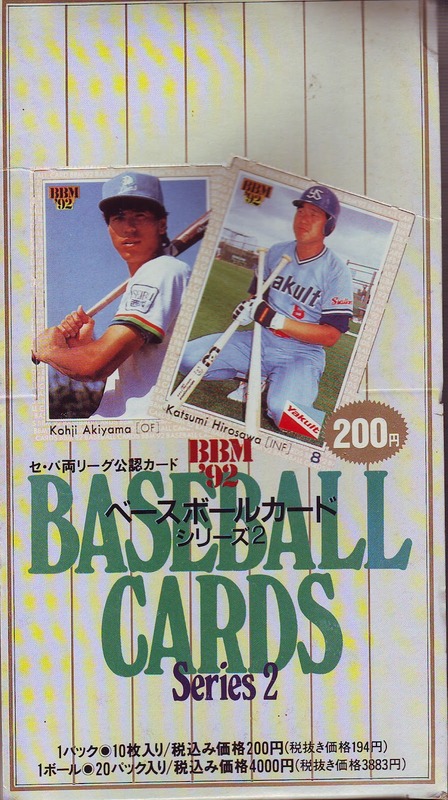 This is the only set that BBM ever issued in two series of 249 cards each. 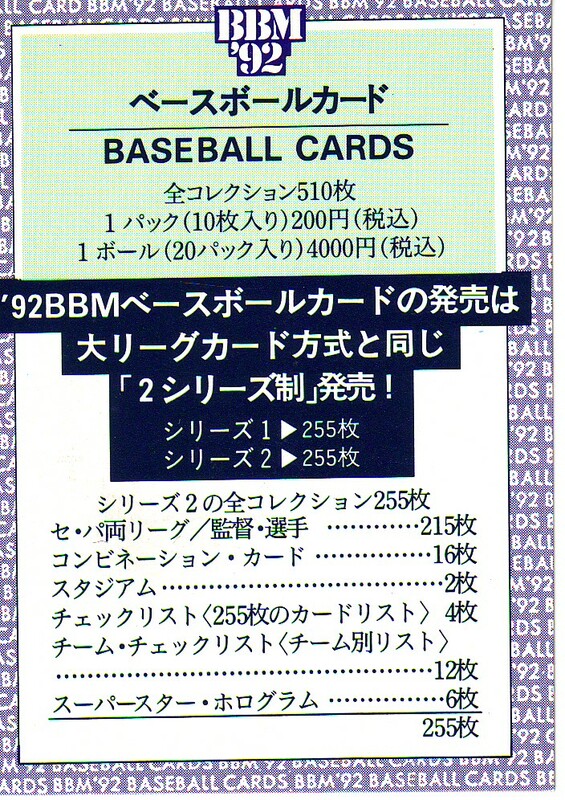 The cards were numbered 1-249,251-499. The player hologram inserts for Series One were assigned number 250. The ones for Series Two were assigned number 500. 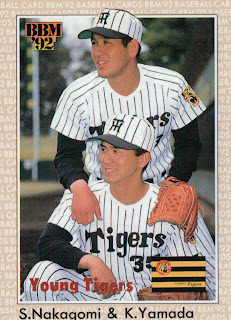 The Nostalgic Stars subset featured Takehiko Bessho, Kaoru Betto, Shigeru Chiba, Tetsuharu Kawakami, Osamu Mihara, Shigeru Mizuhara, Hiroshi Ohshita, Eiji Sawamura, Victor Starffin, Shigeru Sugishita, Kazuto Tsuruoka and Wally Yonamine. The Stadium subset depicted all eleven primary ballparks used in 1992 (the Giants and Fighters still shared the Tokyo Dome at this time). 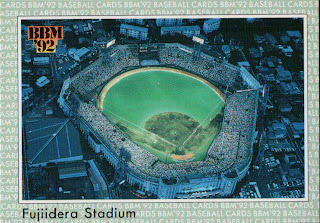 Five of the stadiums shown - Nagoya, Heiwadai (in Fukuoka), Hisoshima, Kobe and Fujiidera (in Osaka) - either are no longer standing or no longer in regular use by the ichi-gun teams. 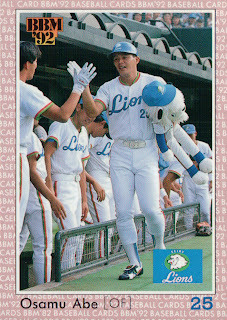 Another stadium - Seibu Lions Stadium - had a dome built over it in the late 90's, leaving only five of the ballparks shown still in use and pretty much looking the same as now. Hall Of Fame manager Yukio Nishimoto has passed away at age 91. 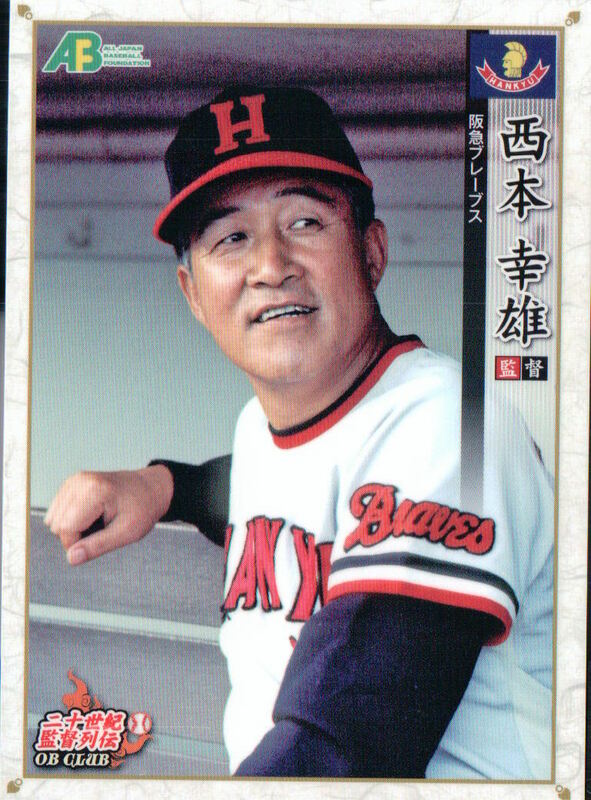 Nishimoto managed for 20 years in NBP with three different Pacific League teams - the Daimai Orions (1960), the Hankyu Braves (1963-1973) and the Kintetsu Buffaloes (1974-1981). 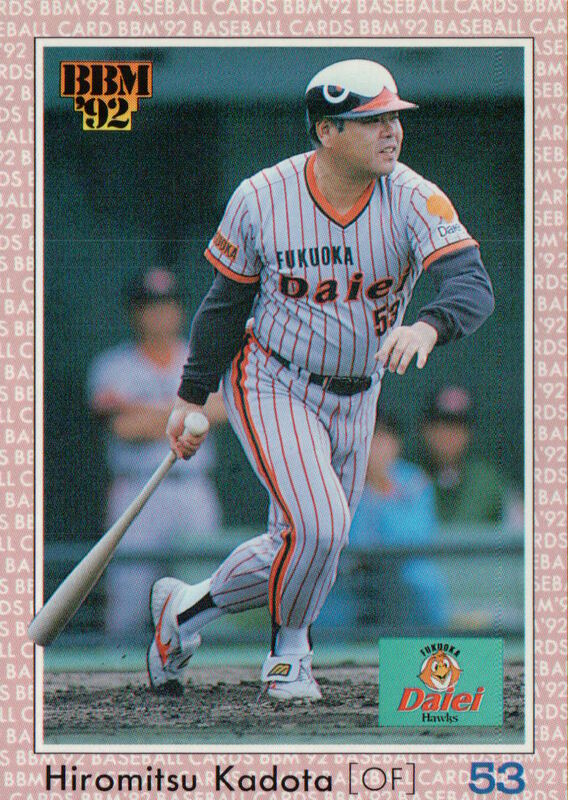 He won eight Pacific League pennants - one with Daimai, five with Hankyu and two with Kintetsu - but never won a Nippon Series. 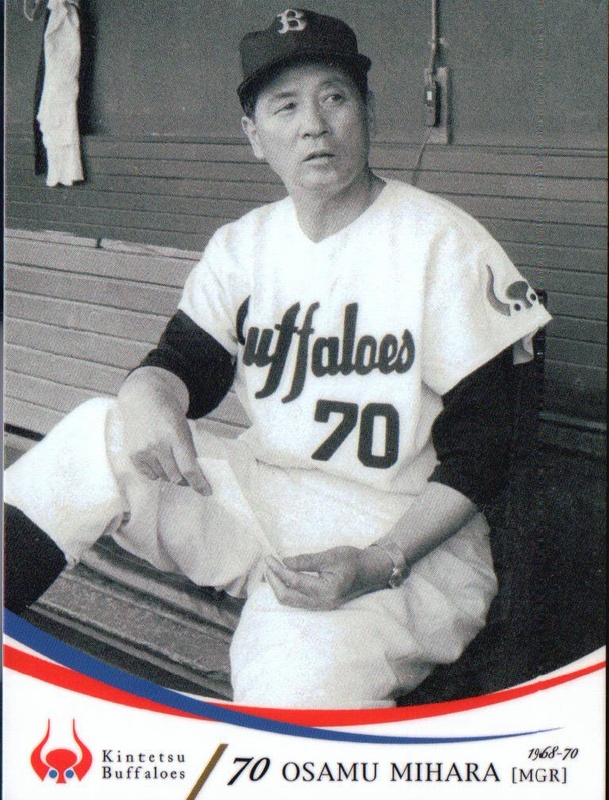 The Orions were swept in the 1960 Series by Osamu Mihara's Whales. 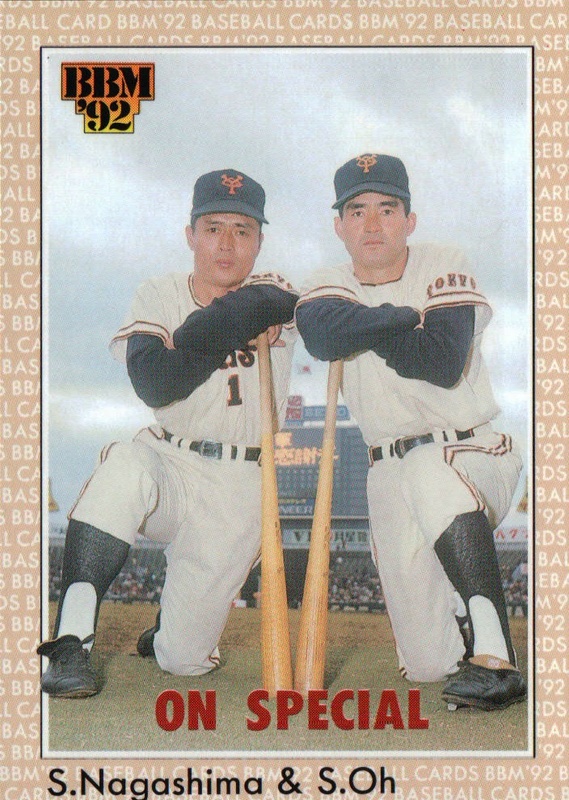 His Hankyu pennant winners (1967, 1968, 1969, 1971 and 1972) were fodder for the V9 Giants and his Buffalo pennent winners were defeated in 1978 and 1979 by the "Red Helmet" era Hiroshima Toyo Carp led by Koji Yamamoto and Sachio Kinugasa. Sometimes it's not enough to be good - you need a little luck as well. I am curious as to why he only managed Daimai the one season. 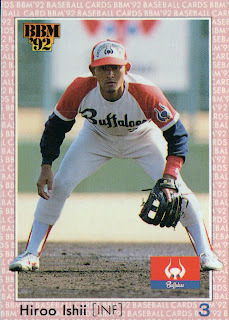 None of the biographical information I've seen has an explanation. 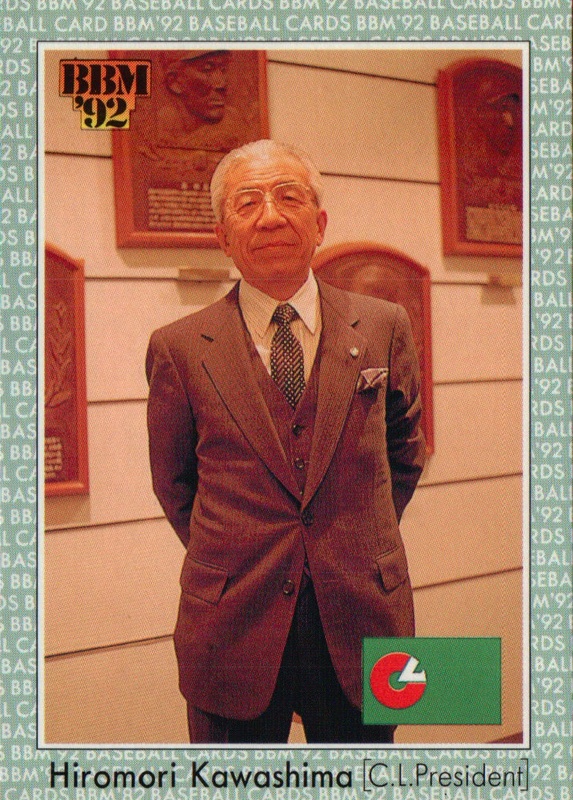 Today marks the one hundredth anniversary of the birth of legendary manager Osamu Mihara. Born on Shikoku Island, he attended Waseda University and played on the Japanese All Star team that went up against the US All Stars in 1934. 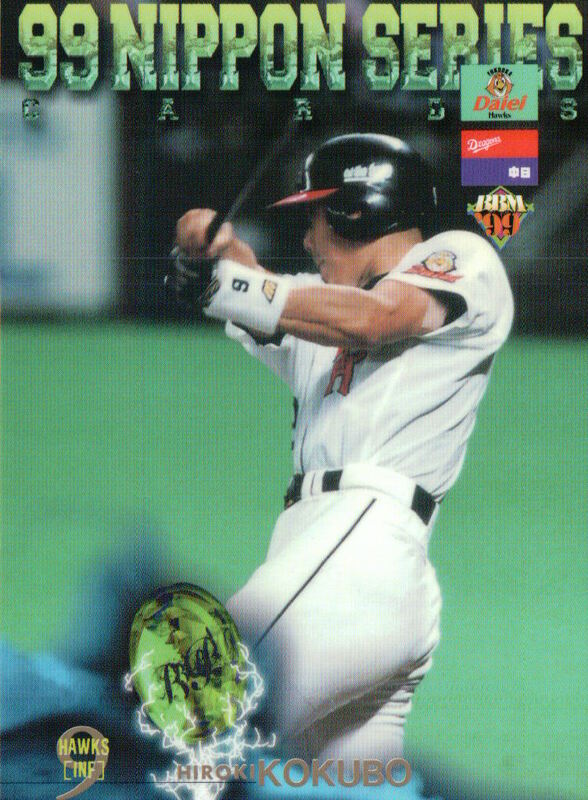 He was the first player ever signed by the Giants, which I think makes him the first professional player in Japan. 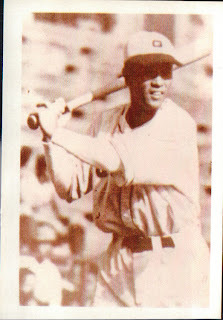 He only played three seasons with the team, however, before going into the Army for the next eight years. His first managerial job was with the Giants, starting in 1947. He managed them for three years, winning the final "one league system" championship in 1949. Despite that championship, however, he was replaced as Giants manager by his long time rival, fellow Shikoku native Shigeru Mizuhara. 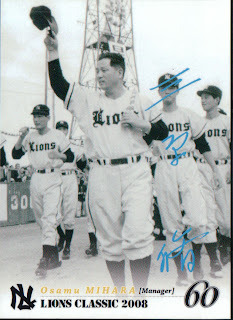 Mihara took over the newly created Nishitetsu Lions in 1951 (the Lions were formed as a merger of the Nishitetsu Clippers and Nishi-Nippon Pirates) and led them to much success on the field. 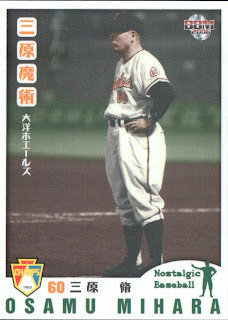 He won Pacific League pennants with them in 1954, 1956, 1957 and 1958. The Lions lost to the Dragons in the 1954 Nippon Series, but beat Mizuhara's Giants in three straight Nippon Series from 1956 to 1958. In 1960, Mihara became the manager of the Taiyo Whales and led them to their first ever Nippon Series championship (over the Daimai Orions). 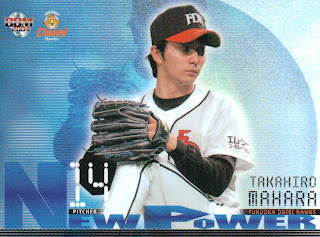 The Whales had finished last the previous six seasons, but under Mihara, the Whales finished 4.5 games ahead the Giants in Mizuhara's final season as their manager. 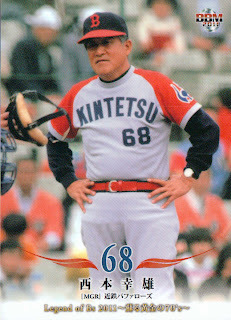 At this point, he had six first place finishes and four Nippon Series championships in 13 years of managing. 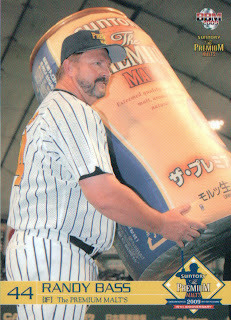 Although he would manage another 13 years, this was the high point of his managerial career. 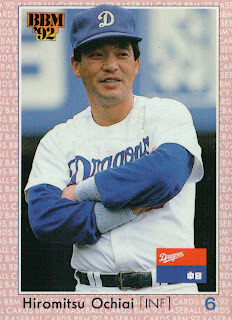 He is the all time leader in games managed in Japan with 3248, 40 or so more than Katsuya Nomura. He is second all time in managerial wins with 1687, more than 100 more than Mizuhara (although in almost 500 more games). I think he's first all time in managerial losses with 1453 (Japan Baseball Daily's numbers are inconsistent between the listing for his managerial record and the list of all time managerial records). 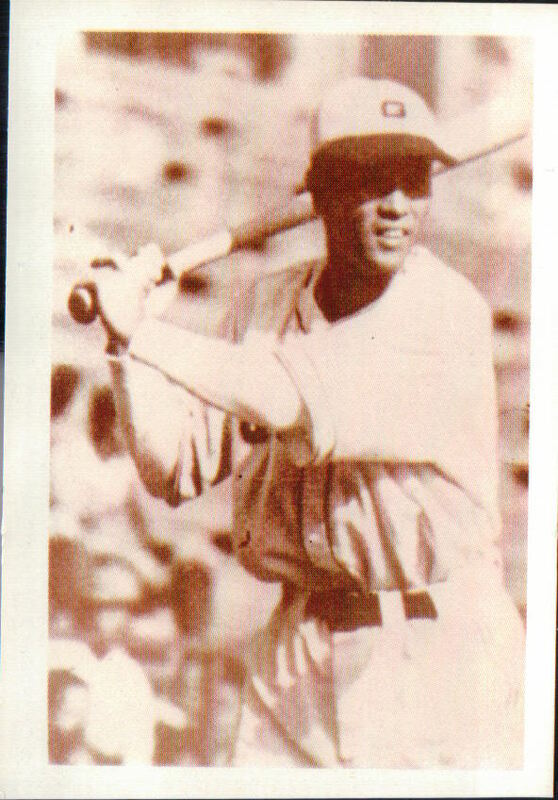 He was elected to the Hall Of Fame in 1983, one year before he passed away. 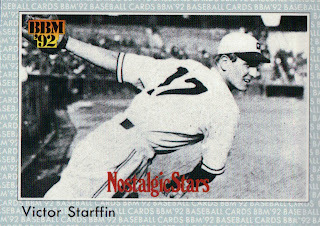 It's not clear from the uniform if the picture on the NST card was from his playing days with the Giants (1936-38) or his managerial days (1947-49). I think that the Lions were highlighting the fact that this would be the Mihara's centennial during the Lions Classic games last summer. 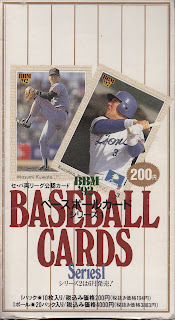 Sources for this post include the always useful Japan Baseball Daily's Data Warehouse along with Gary Engel and Rob Fitts' "Japanese Baseball Superstars". 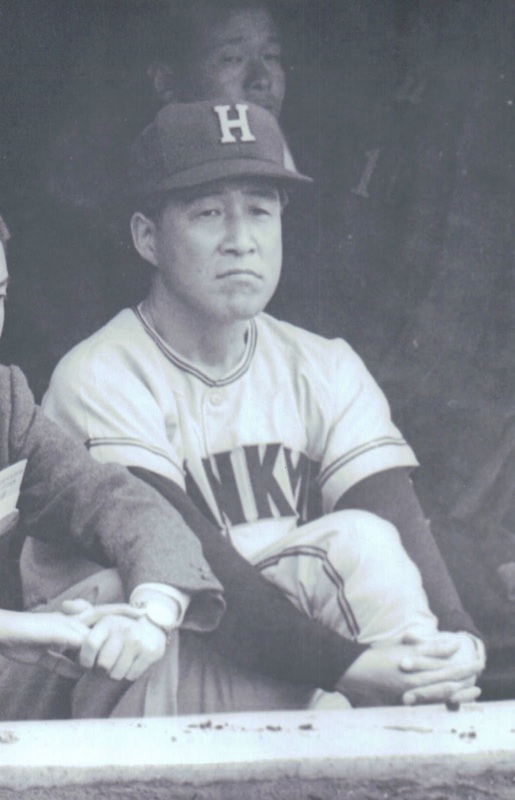 UPDATE: I don't know why I didn't think to look when I was writing this, but Baseball Reference's Bullpen has an excellent biography of Mihara. Rob Fitts' latest book about the 1934 US All Stars Tour of Japan, Banzai Babe Ruth, will be published on March 1, 2012. 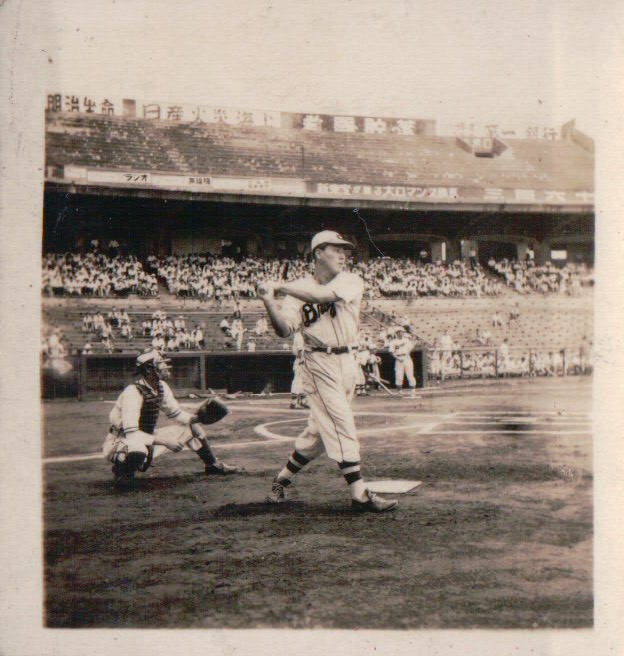 You can pre-order the book from Amazon or Barnes & Noble. 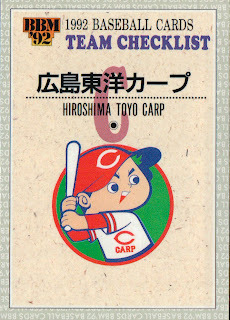 - There's a new box set entitled "Young Carp" being released in late November. 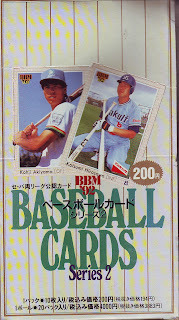 It contains 38 cards - 36 regular cards plus 2 insert cards. I think that the 36 "regular" cards feature 3 cards each of 12 different players. 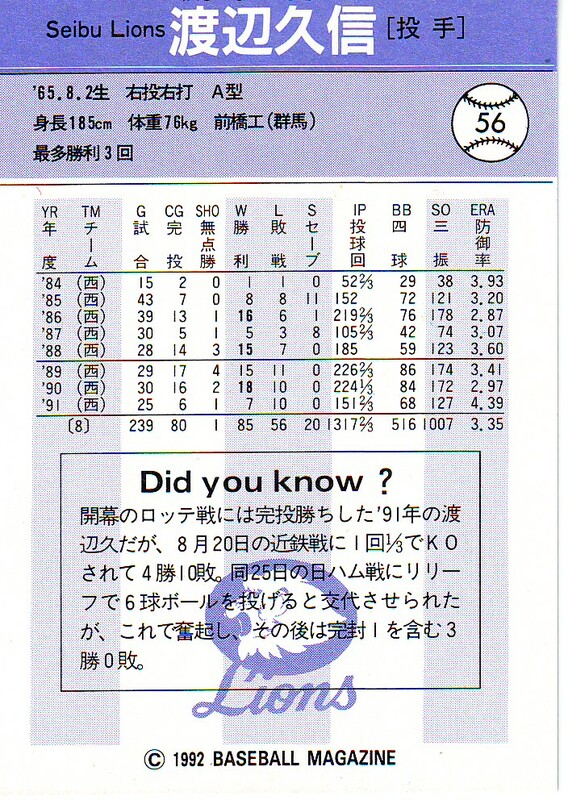 The insert cards include autograph and memorabilia cards. 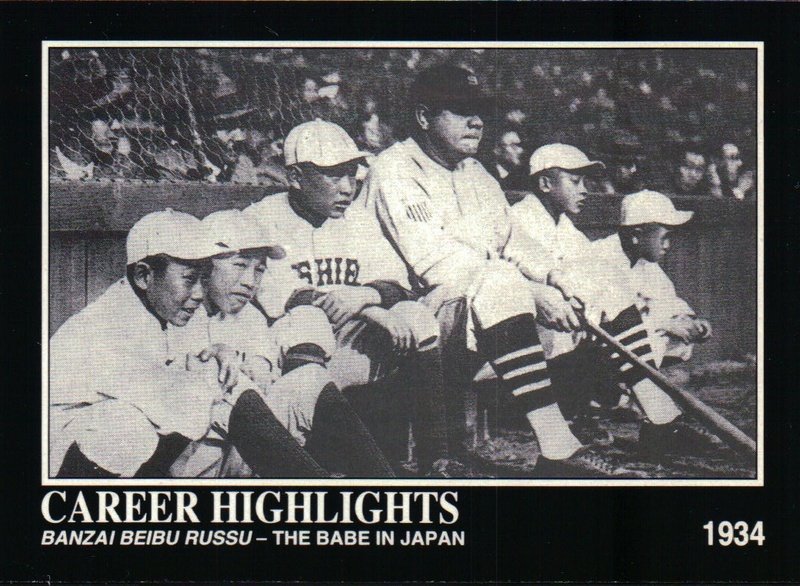 - There's another new box set being released in late November that features Tigers reliever Kyuji Fujikawa. 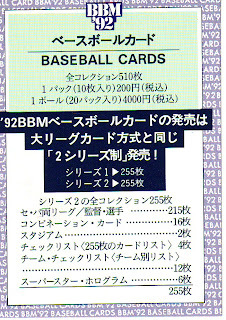 It contains 27 "regular" cards plus some sort of memorabilia card - jersey, cap, undershirt, ball or autograph. 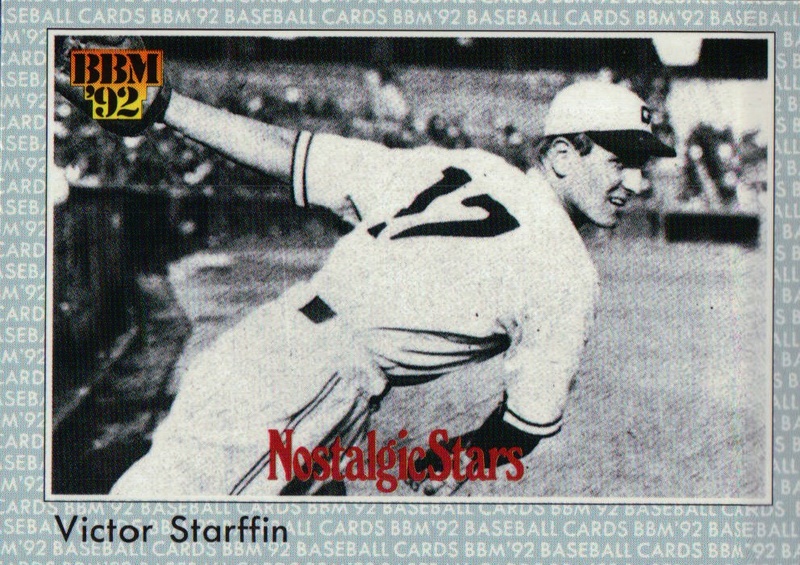 - I'm not sure of the release date, but BBM will probably be releasing the 2012 edition of their annual "Historic Edition" set this month. 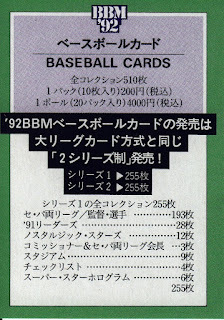 As always, it's a pack-based set containing 144 "regular" cards - 72 active players and 72 OB players along with 12 insert cards ("Rival Contemporaries"), 24 "photo cards" and an unspecified number of autograph cards. 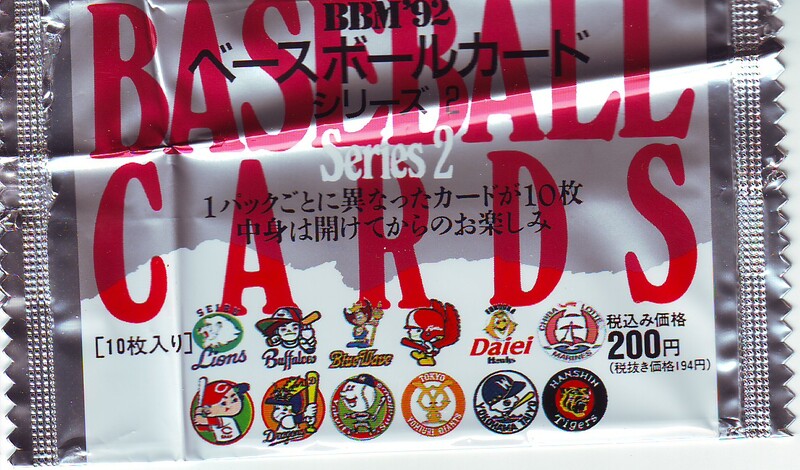 This year's theme is being translated as "Legend Of The Strongest Generation". 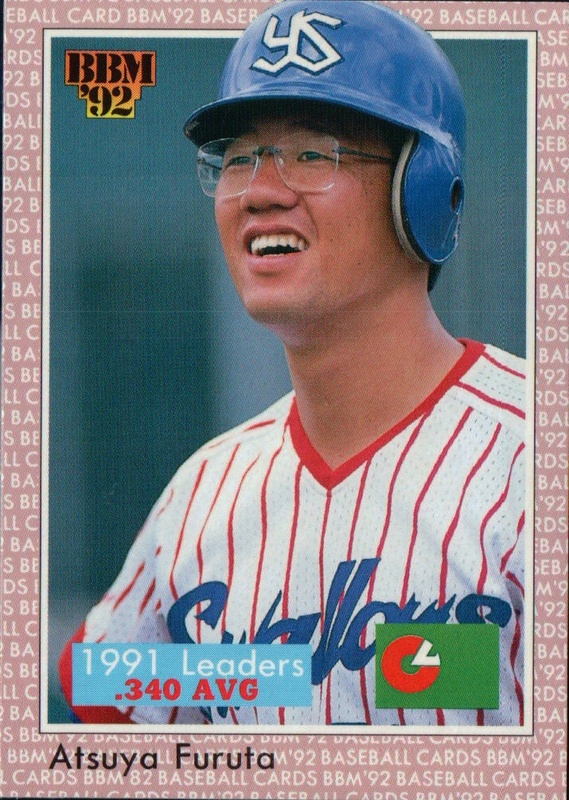 It looks like it's highlighting players either born in a specific year or drafted in a specific year - it may also include players who debuted in a specific year. 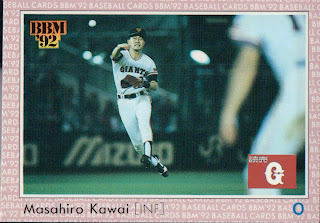 - I'm pretty excited about this next set because I called it a few months back. The "Legends Of The Tokyo Big Six" set will be a pack based set that will be released in December containing former Tokyo Big Six players who went on to play in NBP. It will contain 108 "regular" cards - 81 retired players (including Shigeo Nagashima), 18 active NBP players (including Yuki Saitoh) and a nine card "Legendary Records" subset. 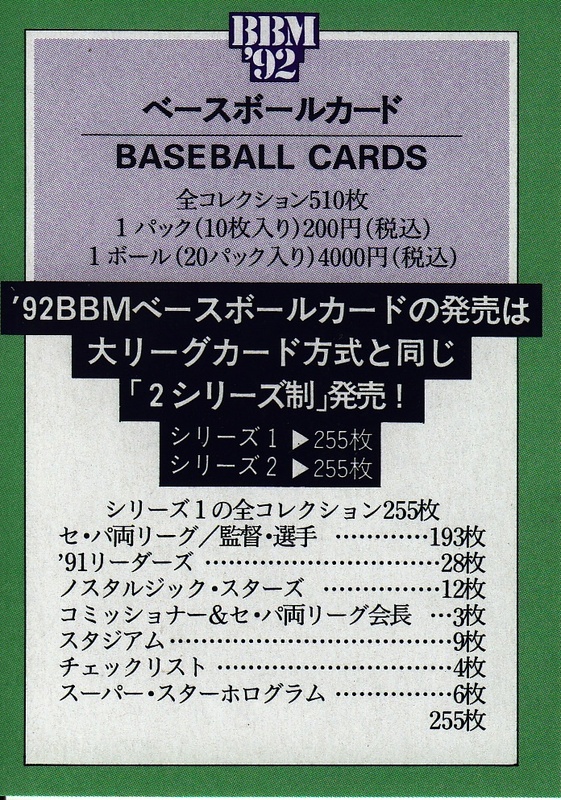 There is also an 18 card insert set called "Super Best 9" which I'm guessing has a Best 9 for both the retired and active players. 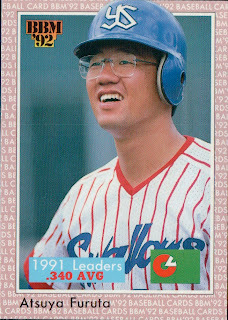 There will also be autograph and photo cards. 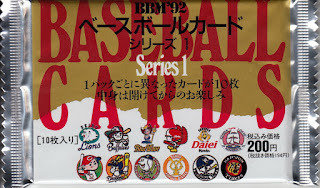 I finally started watching NPB games on Justin.TV when the Climax Series started. 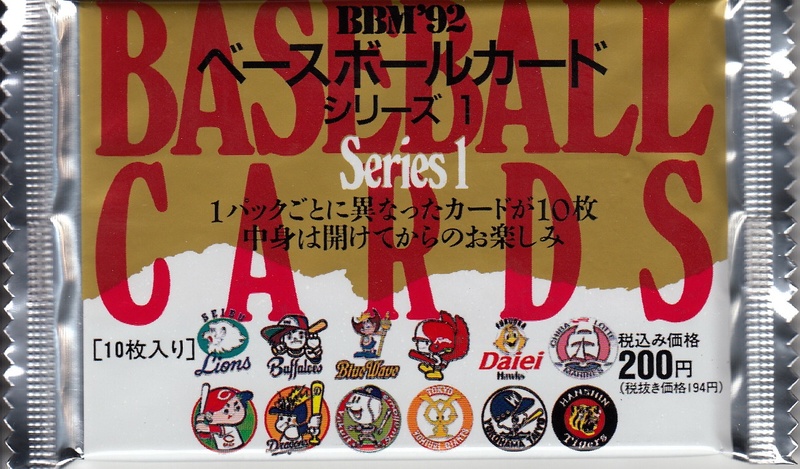 Since I usually get up around 5 AM, the schedule worked out really well for the evening games. Should have been doing this a long time ago. 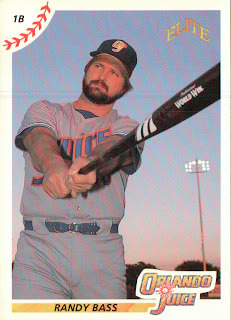 Here's something a little obscure about Randy Bass - he played for the Orlando Juice in the short-lived Senior Professional Baseball Association in their inaugural season 1989-90. He joined the team about a month into the season and hit .393 with 5 home runs in 29 games. 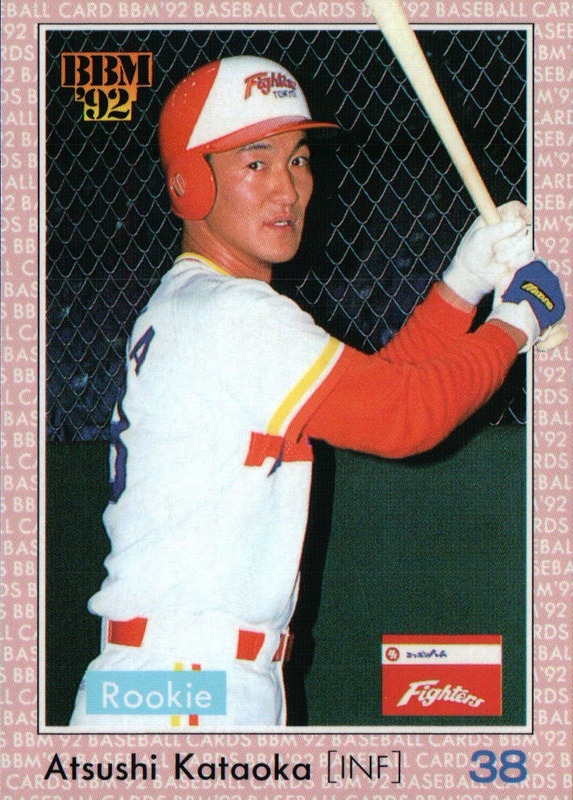 He actually parlayed this performance into a non-roster invitation to spring training with the Baltimore Orioles for the 1990 season but IIRC he retired before actually appearing in any exhibition games with them.